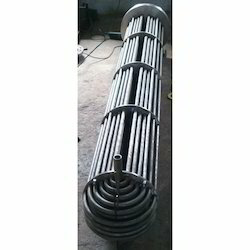 Leading Manufacturer of air cooled heat exchanger, double pipe heat exchanger, dry heat exchanger, food processing industry heat exchanger, insulated heat exchangers and kettle reboiler from Coimbatore. 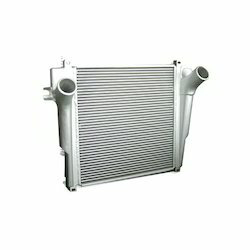 By utilizing skills of our dexterous workforce, we are offering a distinct range of Air Cooled Heat Exchanger. In tune with international standards, we are passionately involved in providing an extensive range of Double Pipe Heat Exchanger. 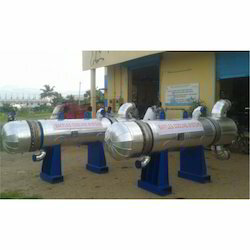 Being a quality oriented organization, we are offering a wide range of high quality Dry Heat Exchanger. 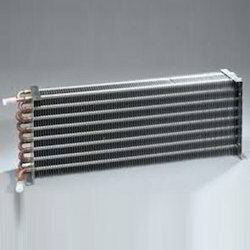 We are a leading organization in this domain, actively engaged in providing a wide array of Fixed Heat Exchanger. 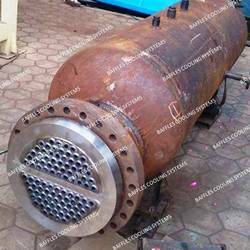 BCS has shell and tube heat exchanger designed as per ASME SEC VIII Div-1 standards and TEMA standards. We have deal in R,C,B application areas. We analyze and calculated the Mechanical design and Thermal Design. We have facilities for POST WELD HEAT TREATMENT, RADIOGRAPHIC. We have facilities for post weld heat treatment, radio graphic. Kettle re boilers are very simple and reliable. They may require pumping of the column bottoms liquid into the kettle, or there may be sufficient liquid head to deliver the liquid into the re boiler. In this re boiler type, steam flows through the tube bundle and exits as condensate. The liquid from the bottom of the tower, commonly called the bottoms, flows through the shell side. There is a retaining wall or overflow weir separating the tube bundle from the re boiler section where the residual re boiled liquid (called the bottoms product) is withdrawn, so that the tube bundle is kept covered with liquid. 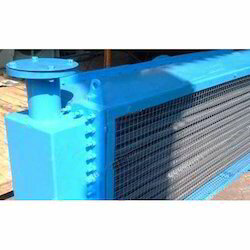 Plate Heat Exchanger is a device which is used for reducing heat for processing fluid. Its widely used in this type of all the industries. Its construction have no of plates .Plates material widely used SS 316 and SS 304 .Two medium passed on PHE . One side pass Hot medium and another side is cold medium.One is composed of multiple, thin, slightly separated plates that have very large surface areas and fluid flow passages for heat transfer. Plate arrangement can be more effective, in a given space, than the shell and tube heat exchanger. Advances in gasket and brazing technology have made the plate-type heat exchanger increasingly practical. In HVAC applications, large heat exchangers of this type are called plate-and-frame when used in open loops, these heat exchangers are normally of the gasket type to allow periodic disassembly, cleaning, and inspection. 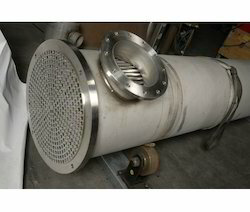 There are many types of permanently bonded plate heat exchangers, such as dip-brazed, vacuum-brazed, and welded plate varieties, and they are often specified for closed-loop applications such as refrigeration. 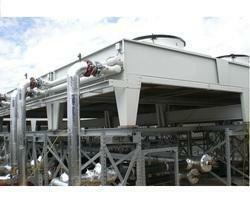 BCS offered the heat exchanger for refinery sectors . It will be conducted TPIA with Test certifcation . 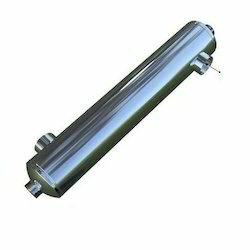 We will carry all type inpetion , quality checking , mandotory required for the exchanger. 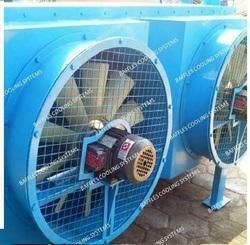 Used in process equipments like garment dryers, steam dryers at the place where hot air required. 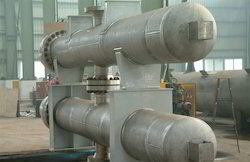 We using different materials to construct Finned Tube Heat Exchanger. The type of tubes used in our Finned Tube Heat Exchangers are aluminum extruded finned tubes, copper finned tubes and SS finned tubes. 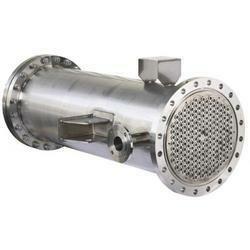 We can provide Finned Tube Heat Exchanger from 500 kcals/hr to 50 lakhs kcals/hr. Smaller refrigerant charges reduce liability and operating costs. 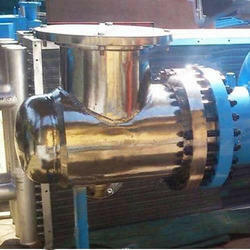 We are producing a brilliant quality scope of MS Tube Heat Exchanger for Sewage Treatment. 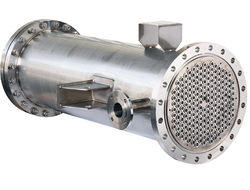 MS HEAT EXCHANGER is a device which is used for reducing heat for processing fluid. Its widely used in this type of all the industries. Its constructed shell side and tube side. In shell side have no of tubes accumulated and passed hot fluid passes through shell side . Cold side ,fluid passes on the tubes . Its have one ,two three ,four and mutli pass based on the design specification . Fluid kept maintain in turbulence range.We have dealing in all heat exchanger for all the Industrial applications areas. 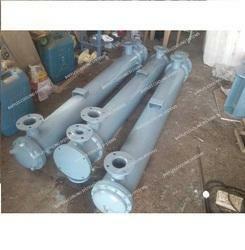 We are offering Tube Heat Exchanger for Sewage Treatment to our client. 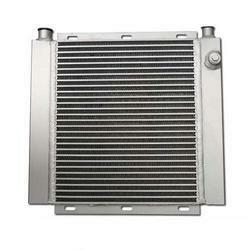 We are offering Small Heat Exchanger to our clients. We made the heat exchanger in all the materials like CS, SS 304, 316, 304L, 316L, Titanium, Copper, Aluminium, IS2062, cupro nickel, brass etc. 2. They are a "green" solution as compared to cooling towers and shell and tube heat exchangers because they do not require an auxiliary water supply. 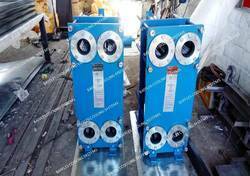 We are manufactured U Tube Bundle Heat Exchanger. We are specialist for U Bend making as per ASME Standards. We have make all the types of U Tube bended like as Stainless Steel (304, 304 L, 316, 316 L, Copper Tubes (Annealed, Temper Tubes ), Titanium Tubes, Aluminium Tubes, Carbon Steel Tubes SA 213. Our Design department calculated Thinning Calculation of Tube bend as per the Process medium Flow rate requirement. It can be very easily make removable and cleaning. 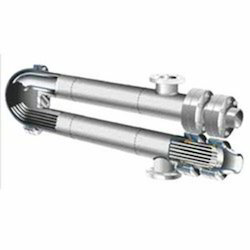 We are a leading organization in this domain, actively engaged in providing a wide array of U Tube Heat Exchanger .